This thread on FlyerTalk seems to suggest that we’re seeing the last few months (if even that) of 747-400 service on SQ11/12, which operate LAX-NRT-SIN and back, as the route will be switched to a 777-300ER. While I can’t verify the timeline, we do know that Singapore will be retiring their 747’s soon, so this is bound to happen sooner or later. Given that SFO-HKG-SIN and back (SQ1/2) has already been switched from a 747-400 to a 777-300ER, there’s no more award availability on that route. Now would be an excellent time to book awards on SQ11/12. This might be your last opportunity to redeem Star Alliance miles for Singapore First from the US to Asia for a while. Plus, once they switch the aircraft type they’ll still honor your reservation in the (superior) new cabins. While there’s still JFK-FRA-SIN (SQ25/26) on the 747-400, that’s a pretty inconvenient routing, there’s typically not much award availability, and many mileage programs don’t allow such routings to Asia. 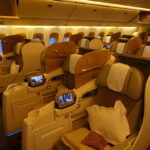 At this point I have a feeling that Singapore Airlines will be opening up award availability in the new premium cabins sooner rather than later. Given that the old cabins aren’t an option anymore, it’s hard for them to continue to play this game. Add the weak economy to the mix, and I’d say Singapore will give in soon. 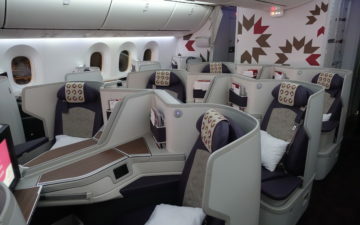 Check out Singapore award from Houston to Moscow for April travel. 50% off redemption and an incredible bargain if you land an economy saver. Even lower than the Flying Blue deal. Do you have a link for this 50% off, Ric?